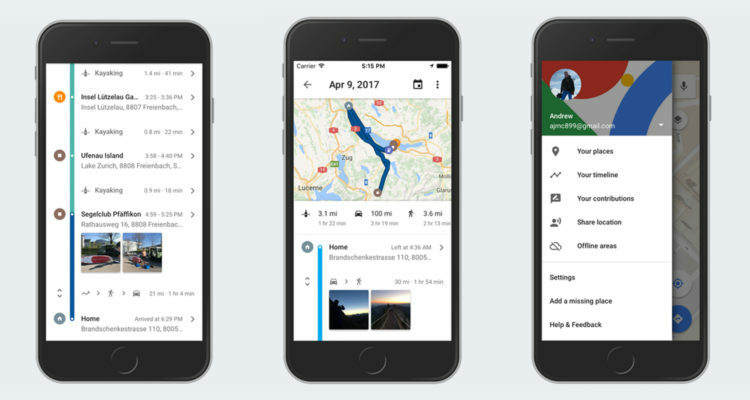 The latest update to Google Maps brings iOS users a feature that’s been on Android for a little while now, called ‘Your Timeline,’ and it knows everything you’ve been up to. It’s toted as a way to easily remember places you’ve been, or remember what you were doing on a particular day. In Google’s announcement, it describes cute scenarios like remembering a twee antique store or fun coffee house that you’ve forgotten the name of, or double-checking which day you did chores. We admit there are some compelling use-cases for letting the big G keep track of everywhere you’ve ever been. Everything ties in neatly with existing operations like Google Photos, so if you’re checking out which bar you went to last Friday, the app can throw up photos of the night from your own library. There’s also the ability to adjust any locations its wrongly marked, or to give frequent hotspots a nickname. Thankfully Google is aware that to some, this whole thing might seem a little creepy. It’s keen to point out that only you can access your Timeline, and you can permanently delete locations from your history at any time. You can also disable the whole feature if you don’t like the sound of it. If you want to give this new feature a try, open Google Maps (make sure you have the latest version from the App Store) and press Your timeline from the main menu. You’ll need to agree to the app using location services to use the feature. It will then keep a log of everywhere you visit for easy reference which you can check out by returning to this page. Conversely, if all this tracking is just a bit too Big Brother for you, it’s worth checking the Your timeline section anyway just to make sure you haven’t accidentally allowed location services before. Remember, if in doubt you can see which apps are tracking your location from the Privacy section of the main iOS Settings app and disable them accordingly.